Science is the favourite of Joshua. 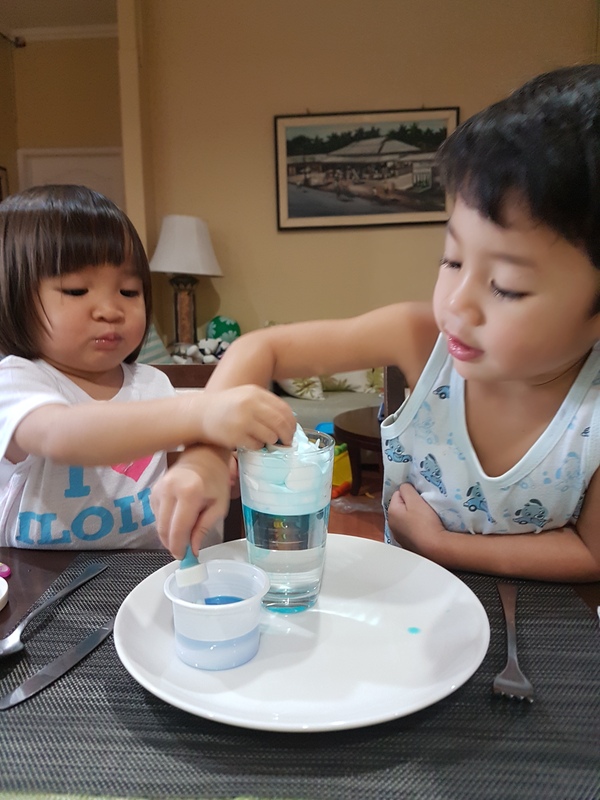 For understanding the rain cycle we did 2 experiments at home. First I had to explain how water evaporates into the atmosphere or sky. We got a cup and a cover. We poured hot water in the cup explaining how the sun causes heat on the water. We covered the lid of the cup with a DRY plastic cover for about 15 minutes. When the time was up, Joshua noticed that the plastic cover was filled with water droplets. This made him understand that heat makes the water evaporate. Our second experiment was more fun… explaining Precipitation or Rain. We used a clear class with water about 3/4 full. With a little air space in between, we sprayed shaving cream on the top. 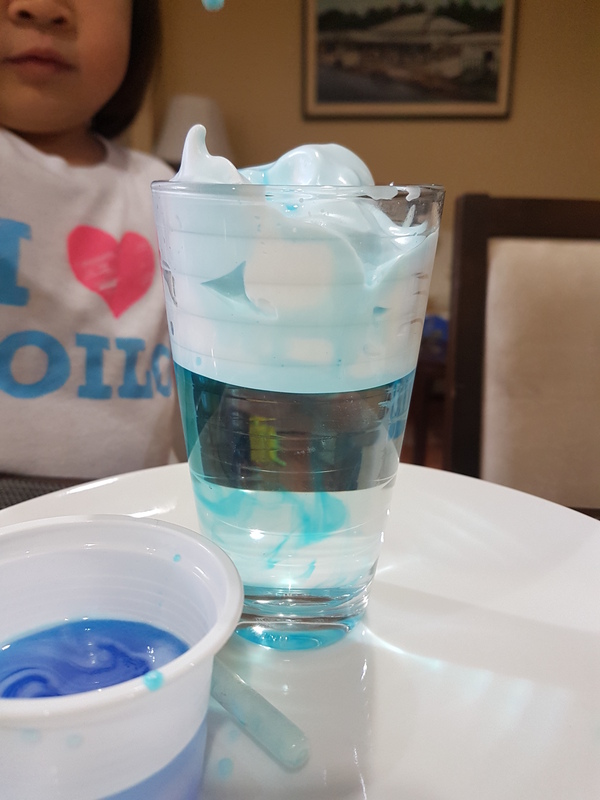 Then with blue colored water (using blue food coloring) and a dropper, we drip over the “clouds” and see how raindrops form. This was absolutely fun and educational! The shaving cream has been a good medium for us… from puffy paint and now to the rain experiment. 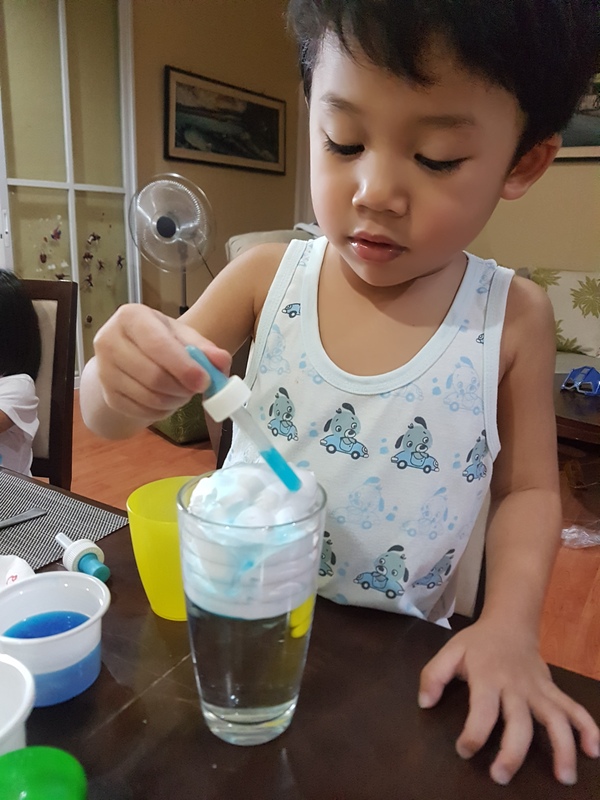 Doing a live laboratory at home makes science interesting and fun!